Ex-Bucs Duo To Lead Stars Clear Out? Two former Orlando Pirates stars have been mentioned among players whose futures seem unclear at Free State Stars. 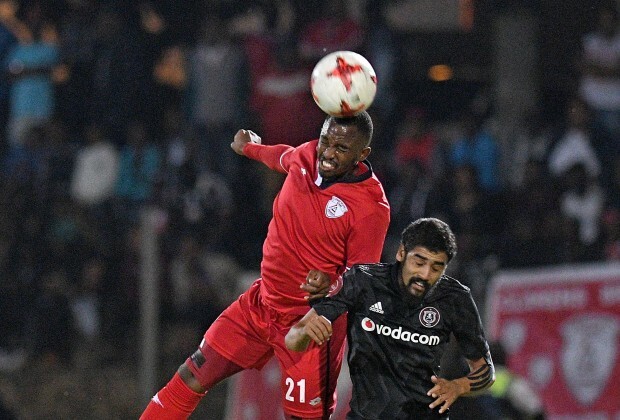 Both Patrick Phungwayo and Rooi Mahamutsa are nearing the end of their contracts with Ea Lla Koto, and according to sources, the two defenders are unclear about their futures with the club as they head into the remaining matches of the season, according to sources. “Free State Stars are expected to part ways with a number of players at the end of the season after the disappointing season the club has had. However, the club’s focus and the focus of everyone, for now, is on helping the team to move out of relegation,” said the source. “Some of the players’ contracts will be coming to an end at the end of the season. Patrick Phungwayo and Rooi Mahamutsa are among the players whose contracts will be coming to an end. A decision will be made at the end of the season,” added the source. Meanwhile, the Bethlehem outfit is preparing for to face Highlands Park in their next match at the Makhulong Stadium on April 06. Nikola Kavazovic and his team are oozing with confidence at the moment, following their morale-boosting 4-1 win over AmaZulu in their previous match.